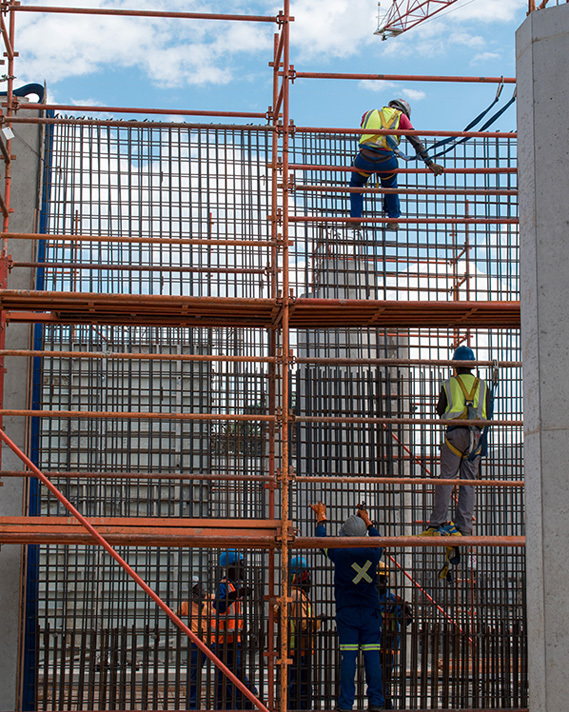 RSC (Reinforcing Steel Contractors) provides total reinforcing solutions to construction, civil, mining and engineering markets, including the supply, cut, bend, delivery and wiring into position of steel reinforcing. The company enjoys a recognised industry track record of delivering highest quality products and service excellence. The RSC Group includes the following industry related companies: BRC Mesh Reinforcing and RSC International Trading. As an industry leader, RSC operates to international standards and enjoys ISO 9001 certification, ISO 14000 and OHSAS 18000 compliance. In addition, RSC plays a leading role in the research and development of new products, working closely with all its stakeholders and is recognised as an industry innovator. The people of RSC are driven as a team to deliver appropriate product solutions and world class fulfilment. RSC products and services are available locally and internationally through a well-established distribution network. RSC is committed to sustainable development through the continuous growth of all its resources and finding solutions which are good for business, the environment, communities and its employees. Managed through a streamlined national network, that serves customers using a unique data management system, enabling on time and accurate delivery of customer requirements. RSC serves global markets with experiences with experience and operations in various countries including United Arab Emirates, England, Hong Kong, Malaysia, Spain, Mauritius, Namibia, Zimbabwe and Botswana. RSC is committed to providing its employees and all stakeholders with a Zero Harm operating environment, which is also clean and healthy. Quality products and service excellence. Quality, reliability and continuity. Available locally and internationally. Reliable and advanced technology development. Sound commercial and contractual practices. Customisation that results in streamlined project management. A recognised track record of world class fulfilment and delivery to the industry. With a single point of contract, including documentation management and co-ordination through proper execution.